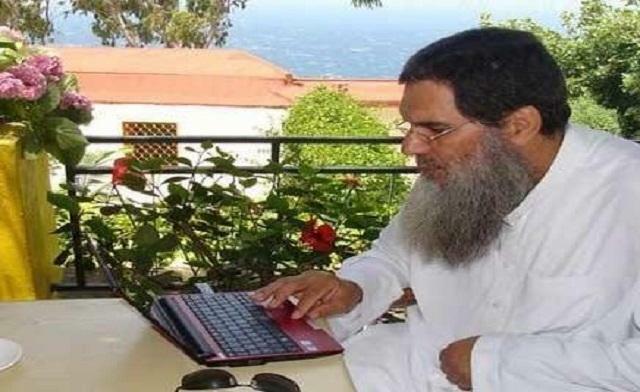 Moroccan Salafi leader Mohamed Fizazi presented to King Mohamed VI an initiative aimed at starting a dialogue with jailed members of Jihadi Safali Movement in the kingdom. Having had personal encounters with the majority of the group’s prisoners during his eight-year imprisonment and for his familiarity with the details of their cases, Mr. Fizazi stated that he is one of the most suitable mediators between the government and jailed Islamists. Mr. Fizazi was sentenced to 30 years in jail on charges of terrorism and was released, together with dozens of his fellow prisoners, after being granted royal amnesty in April. “I realized several of the prisoners are wrongly accused and they seek your help to save them and set them free for they long to go back to their community which they miss so much,” he wrote in the letter he addressed to the king. Even those prisoners who were previously involved in illegal actions, Mr. Fizazi added, have now renounced violence and are willing to join the rehabilitation program launched by the king which should enable them to reintegrate in the community. Mr. Fizazi called upon King Mohamed IV to allow human rights activists, scholars, and other volunteers to enter the prison and meet with its inmates in order to lay the grounds for launching a dialogue and charting a new beginning. He pointed out that several of those prisoners have not shed any blood in the first place and therefore the dialogue with them will be basically intellectual and religious. The initiative launched by Mr. Fizazi reveals him as a realistic man who is well acquainted with the political situation in Morocco, said Abdul Rahman Mohtad, Moroccan rights activist and head of the Nasseer Association for the Support of Islamist Prisoners in Morocco. “The issue of Islamist prisoners in Morocco was never accorded the proper political attention whether on the part of Moroccan activists or international organizations,” he told Al Arabiya. Mr. Mohtad explained that out of the many Islamist prisoners, only a few were labeled political prisoners. The others, like Mr. Fizazi mentioned in his letter to the king, are treated as terrorists. Mr. Fizazi’s initiative, Mr. Mohtad pointed out, sets the stage for focusing on the prisoners themselves and giving them the chance to explain how their views changed and the guarantees they will offer to the community in case they are released. “The fact that released members of the group are now taking it upon themselves to set free those still behind bars also signals the beginning of a new era,” he added. Al Arabiya knew from families of jailed members of the Jihadi Salafi group that several of the prisoners have been sending pleas to the king in the hope that they can be granted amnesty on the occasion of the king’s birthday or Eid al-Fitr (Lesser Bairam).